Beginning on Thursday, United Airlines has expanded menu selections for the Snack Shop and Bistro on Board and created a brand new menu for customers flying from Canada to the U.S. Additionally, starting this summer, the exclusive vodka brand offered on all of the airline's flights worldwide will be Wheatley Vodka, a craft distilled vodka created by the same makers as the award-winning Buffalo Trace bourbon. "We want every customer onboard to find something that catches their appetite and feel good about their purchase," said Charlean Gmunder, vice president, catering operations at United. "Offering natural, conscientious brands, like Think Jerky®, make our menu stand out and cater to a wider variety of customer tastes. We are excited to give our customers the opportunity to try new and exciting brands and menu selections." United will be the first airline to feature Think Jerky as one of the newcomers onboard with their Sweet Chipotle beef flavour. Think Jerky, which only uses grass-fed beef, was added to the menu in response to customer requests for a new meat-based snack onboard. A new organic nut mix from Nuts.com, along with an updated Cheese and Crackers Box that contains items like Everything ParmCrisps™ and two cheese options round out the new Snack Shop items. Customers who enjoy United's snackboxes can now purchase a newly designed Classic Snackbox that has been updated to have a more 'Americana' flavour with items like a SMASHMALLOW® root beer float marshmallow, pretzels, Oreo cookies, and Twizzlers. New breakfast and lunch meal choices are now available on the Bistro on Board menu. The biscuit breakfast sandwich, another United exclusive, is a hot entrée selection that features a 100% cage-free home-style fried egg. 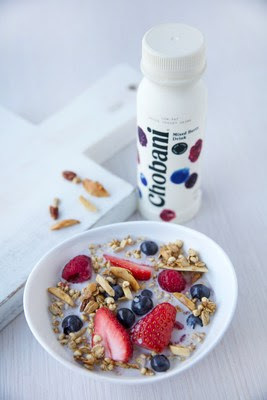 For customers who prefer a cold breakfast entree, the new Mixed Berry Breakfast Bowl comes with fresh ingredients like berries, pecans, and granola and is served with a Chobani® Mixed Berry Greek yoghurt drink. For lunch, the Mezze Sampler has been updated with a new wheat berry salad that comes with quinoa, edamame and corn. In response to customer requests for meals made with regional flavours, United worked with chefs in Canada to create selections inspired by local ingredients. For breakfast, a Maple Ham Breakfast Sandwich that pairs Black Forest ham with maple butter on a croissant is now available. For lunch or dinner, a Hummus Sampler and a Forty Creek Barbecue Burger that features Forty Creek whiskey barbecue sauce are also available along with a Sun-dried Tomato Pesto Chicken Wrap. 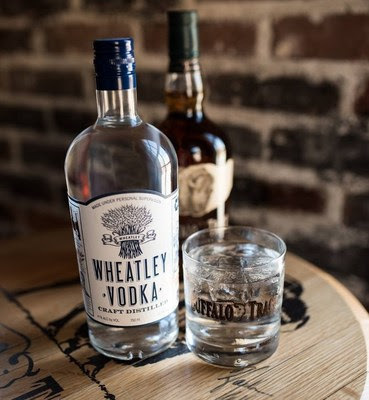 These options are served on most flights over three hours from Canada to the U.S.
Beginning this summer, United is excited to serve Wheatley Vodka, an award-winning handcrafted vodka made from the same master distiller who produces Buffalo Trace, the popular bourbon the airline currently serves onboard. Buffalo Trace Distillery, considered the world's most award-winning distillery, uses the same wheat to produce Wheatley Vodka as is used to produce legendary bourbons such as Pappy Van Winkle and Weller. Vodka is the number-one-selling spirit served on United flights. Wheatley Vodka will be available for purchase in the economy cabin on flights where a beverage service is offered. Customers flying in United's premium cabins may enjoy the spirit at no cost.